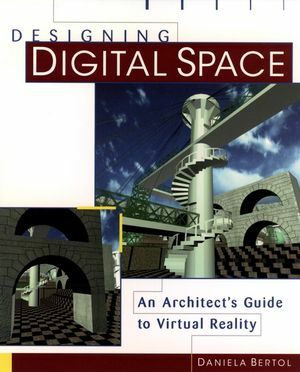 The first in-depth book on virtual reality (VR) aimed specificallyat architecture and design professionals, Designing Digital Spacesteers you skillfully through the learning curve of this excitingnew technology. Beginning with a historical overview of theevolution of architectural representations, this unique resourceexplains what VR is, how it is being applied today, and how itpromises to revolutionize not only the design process, but the formand function of the built environment itself. Vividly illustratinghow VR fits alongside traditional methods of architecturalrepresentation, this comprehensive guide prepares you to makeoptimum practical use of this powerful interactive tool, andembrace the new role of the architect in a virtually designedworld. Offers in-depth coverage of the virtual universe--datarepresentation and information management, static and dynamicworlds, tracking and visual display systems, control devices, andmore. DANIELA BERTOL is a cofounder of Space Ink, a multimedia laboratory in New York City that specializes in the application of digital technologies to architecture and multimedia design projects. An architect with over a decade of experience with major firms, she has lectured at universities worldwide and is the author of Visualizing with CAD: An AutoCADR(r) Exploration of Geometric and Architectural Forms. From Images of Architecture to Architecture of Images. The Electronic Revolution in Architecture. The Stuff VR Is Made Of. Architectural Design and Virtual Reality. Architectural Applications and the Responsive Workbench. Architectural Realities: Virtual Reality Case Studies at CalibreInstitute. Community and Environmental Design and Simulation: The CEDeS Lab atthe University of Washington. Real Buildings and Virtual Spaces. A Few Observations about the Future of Architecture in a DigitalWorld. A Few Hypotheses for Reconstructed Architecture.